Sorry I’m a little slow today in getting my blog post out, but I have fractured my ankle following a fall a couple of week ago. I had no idea it was fractured until I had an x-ray late last week and found out the results on the weekend and now I am in a moon boot 😦 Apparently they don’t plaster any more (that is old school), so at least I can remove the moon boot to shower! But it certainly isn’t the most comfortable thing to get used to, although I guess I have plenty of time to learn, as I have to wear it for the next few weeks and no driving, so the only good news is, there is now plenty of time to craft! Anyway, let’s get on with the card shall we? 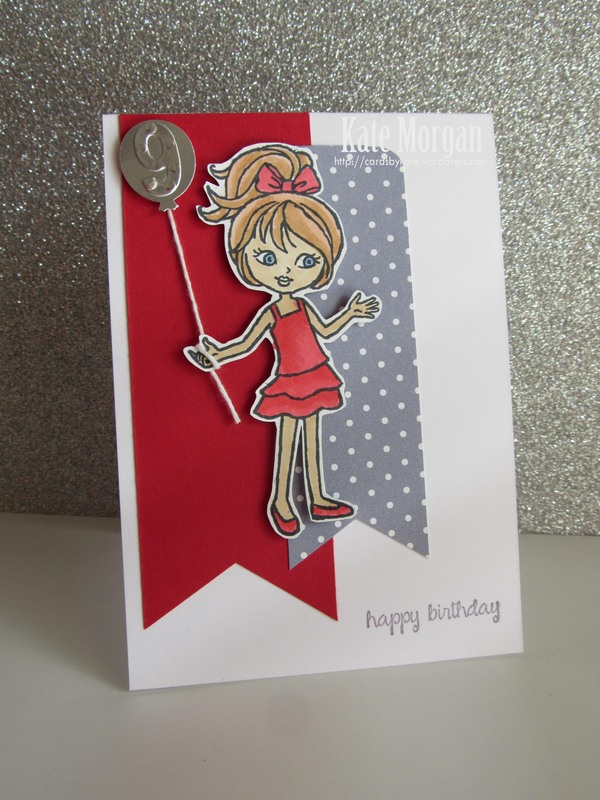 Over the next few weeks we have birthdays galore, so today I share a card that I have made for a birthday this weekend, using the Hey Girl stamp set. 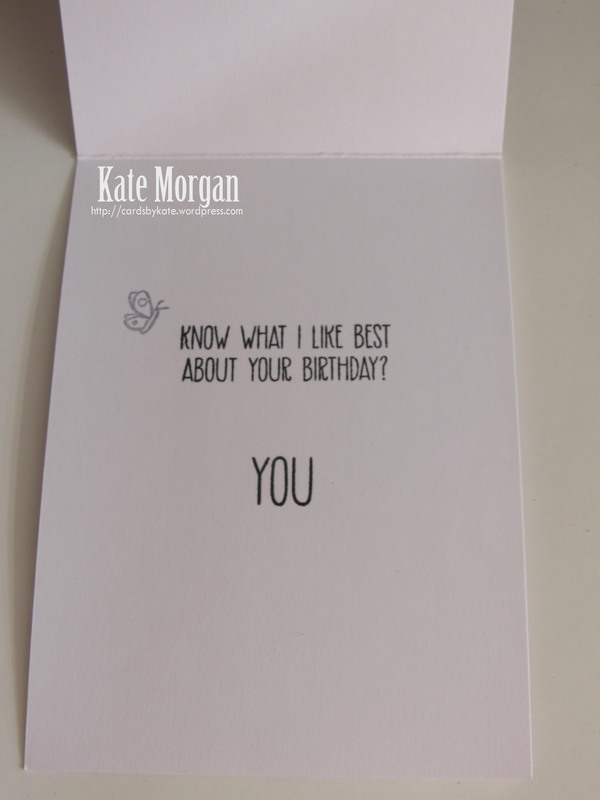 This is a very simple card using only a couple of colours; Real Red, Wisteria Wonder, Whisper White and Silver. I have used the Triple Banner Punch and the Little Numbers Thinlits. I fussy cut the image and coloured her using Copic markers. 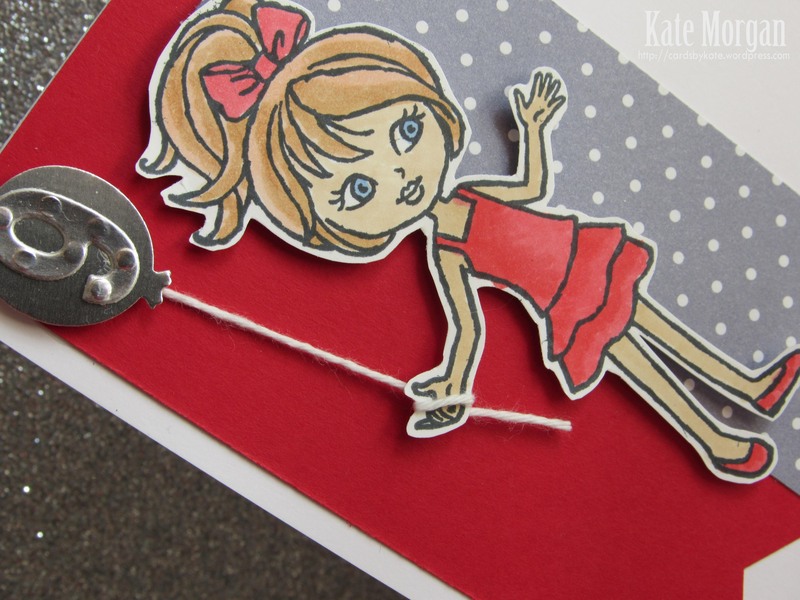 Don’t forget to stamp the inside of the card to make it personal!